Not all dental problems can wait until working hours to be addressed. Some come with unbearable pain while others would only get worse and lead to other problems if left unattended. Such situations are why you need an emergency dentist. If one of your teeth gets knocked out of its socket or a large piece of it breaks off, you will need emergency dental care to reverse the symptoms before the nerve dies. Too much pain in the mouth may mean something is not right with your gums, teeth or jaws. Of course, you can ignore the pain if it is short-lived, but if it lasts more than 30 minutes without getting better, consider seeking emergency dental care to be checked. Sudden pus drainage and visible abscess are obvious signs your gums are infected. An emergency dentist will administer antibiotics to you to prevent the condition from spreading as they establish the cause and the right treatment for it. A knock or bite on your lip that leaves you bleeding for a few minutes may not be worth worrying about. However, if the treatment seems to take abnormally long to recede, consider seeing an emergency dentist as soon as you can to prevent too much loss of blood. Do you fall under any of the above categories or feel there is a chance you could be a dental emergency victim in the future? Knowing a dental office that offers emergency services is a good place to start. 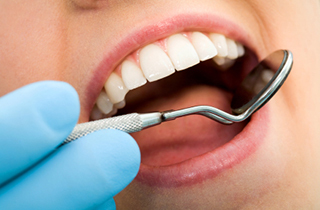 Fair Oaks Dental is a dental care center in Pasadena that offers care for all kinds of dental emergencies. Whether it’s a knock, a toothache or swelling that won’t stop, our experienced emergency dentist is always up for the task to see that your problem is addressed. Call us today at (626) 431-2654 to learn more about our services.